The booklet has over $25 in coupon for P&G products like Febreeze, Cascade, Swiffer, Dawn and Mr. Clean. You can usually request these booklets every few months. They will get mailed to your house in a few months. 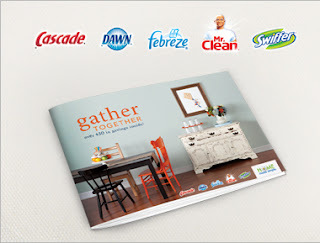 If you haven't already, make sure you sign up for free and also take advantage of the P&G brandsampler program which lets you request samples and coupons a few times a year.